Isaac Roybal from ExtraHop joins us to discuss how Gigamon and ExtraHop enable IT organizations to tap into their workloads for troubleshooting, capacity planning, security monitoring and other real-time insights in the public cloud. 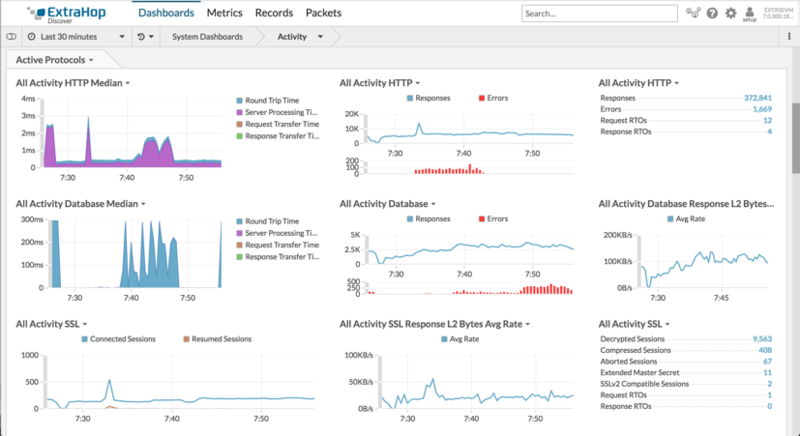 ExtraHop is the leader in real-time network analytics. Our platform applies advanced analytics and machine learning to all digital transactions, delivering timely and accurate insight that makes data-driven IT and security a reality. IT leaders turn to ExtraHop first to help them make faster, better-informed decisions that improve performance, security and digital experience. Just ask the hundreds of global ExtraHop customers, including Sony, Lockheed Martin, Microsoft, Adobe, and Google. The cloud offers unbeatable scale and elasticity– but it also comes with risk and complexity. Migration of applications and infrastructure is a complex process that requires careful planning and deliberation. Once those applications are in the cloud, you need a way to benchmark performance, manage virtual machines (VMs) to control costs and ensure the performance, availability and security of the critical systems on which your business relies. Visibility across on-premises, hybrid and cloud infrastructure is key for mitigating risk, reducing complexity and assuring performance and availability of mission-critical applications. Simplify migration – Auto-discover and auto-classify all IT assets, document application dependencies and set baselines before the move. 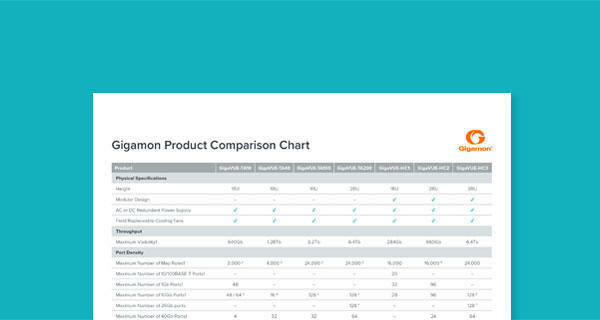 Hold vendors accountable – Gain real-time access to performance metrics to keep your critical applications running. Analyze cloud spend – Gain visibility into all cloud assets to understand what’s happening and optimize the use of cloud resources. Secure operations – Monitor all traffic, including intra-instance traffic, to improve your security posture in the cloud. When migrating mission-critical workloads to AWS, enterprises should not lose visibility into the data in motion within or between their EC2 instances. 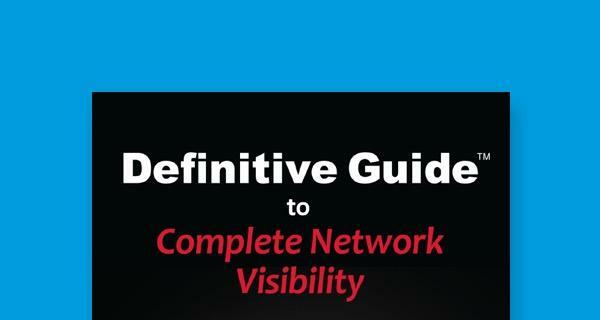 Customers want to transform the network from basic transport into a real-time data source. Whether they are selecting which applications to migrate, planning the critical aspects of their move to AWS or monitoring application performance, ExtraHop offers the visibility and contextual awareness needed for a successful migration to and monitoring of cloud infrastructure. Plan the migration – Advanced IT analytics from ExtraHop deliver real-time visibility into all assets and their dependencies, allowing migration teams to separate clients and servers and categorize shared services like DNS and Active Directory. Ensure a seamless move – With a complete, accurate understanding of the entire infrastructure, customers have the awareness they need to migrate critical systems and applications to the cloud while minimizing risk and service disruption. 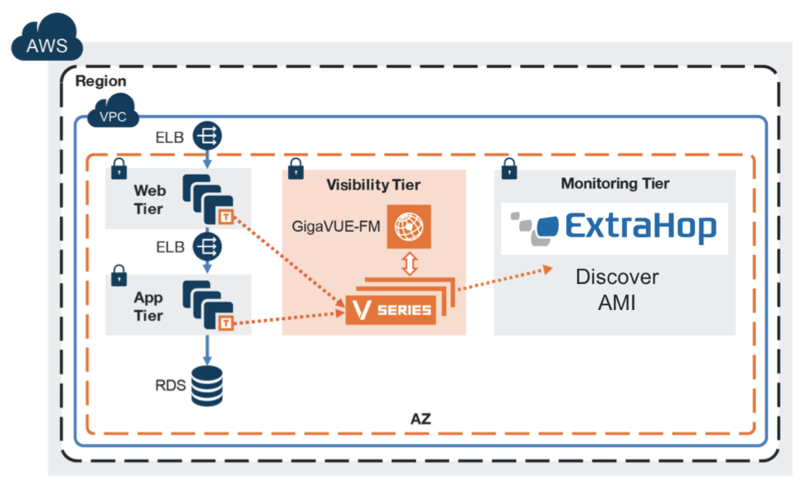 Continuous monitoring – Because ExtraHop builds performance baselines automatically and continuously, customers can provide stakeholders with performance-based SLAs and prove that cloud deployments perform just as well as or better than on-premises deployments. 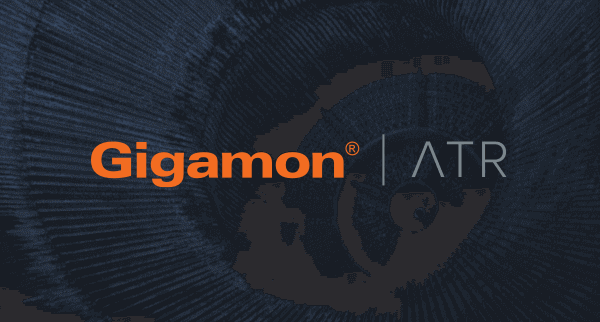 ExtraHop and Gigamon deliver unparalleled real-time IT operations visibility to help enterprises make the most of AWS. Fed by the Gigamon solution’s ability to acquire network traffic in AWS, ExtraHop fully reassembles the network packets into server/client conversations, producing a real-time data source that is called “wire data.” Gigamon and ExtraHop allow IT teams to leverage wire data to identify workloads for migration to AWS and then optimize their performance, availability and security. Want to learn more? See how ExtraHop enabled Steward Health Care to diagnose application issues by leveraging insights from Wire Data, watch a video about the integration and check out the Gigamon Visibility Platform for AWS.